Looking for Accommodation in Robertson? On the edge of the Southern Highlands. Small picturesque township noted for tourism and the movie Babe. Top town to visit when travelling the coastal area around Shellharbour/Kiama. 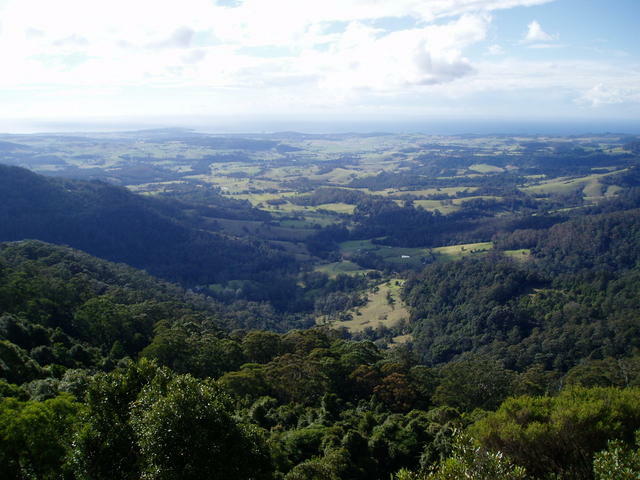 Definitely a recommended trip to take up from Kiama and Mt Jaberoo to Carrington Falls and a visit to the Illawarra Fly (tree top walk) and then finish off with a lunch at the Robertson Inn in Robertson. This town has a lot to offer, and the 1887 history of the Inn really tops the day. When in the area, also visit the cheese factory, and if you want a snack before heading back dow the Macquarie Pass via Tongarra, then don't forget the infamous Robertson Pie Shop at the eastern edge of town. Tongara leads you back to Albion Park and Shellharbour completing the round trip of the area from the coast.